As a native of Southern California, I received my formal education in local schools. After graduating from South Hills High School, I attended La Verne College, where I earned a B. A. in European History and Political Science. In 1975 I received a M. S. in Library Science from the University of Southern California. Since 1978 I have worked as a Research Editor at Salem Press, located in Pasadena. In addition, I have worked as a part-time Reference Librarian at Glendale Community College, Covina Public Library and Los Angeles Public Library. I also teach a Library Science class at Los Angeles Valley College. Since the early 1970's my poetry has been published in various literary journals and anthologies. In 2008 I won a poetry chapbook contest with my collection Broken Glass and Dented Chrome. In addition, I have written hundreds of scholarly articles and book reviews for various reference publications. My book Hispanic Americans Struggle for Equality (Rourke) was published in1992 and my book Sports (Rourke) was published in 1995. Since 1990 I have been actively involved in the creation of art.  I was elected as a member of the Pasadena Society of Artists in 1991. Since then I have expanded my creative outlets to include oil and acrylic painting, mixed media works and digital photography. Over the years I have had a number of solo shows, been included in many group shows and have won several awards. In addition, I had my painting "Tuna Ghost" used as the cover art by recording artist McCrea Adams for his 2003 CD Damned If I Know. In 2004 I had a couple of my paintings used as background for the Opera of the Foothills production of Bat Out of Hell held at the South Pasadena Community Room. As a self-taught artist, I approach every painting, mixed media work, and digital photograph with a sense of discovery. Through vivid abstract images and vibrant color combinations, I hope to shed light on how my subconscious mind translates the visible world around me.